In a move that has thrilled beer style revivalists, a beer has been brewed from what was Victorian Britain’s most popular barley variety for the first time in at least 70 years. What is most interesting for historians of brewing is the way the revived malt acts when used to make beer, putting a new slant on the interpretation of old beer recipes, suggesting they produced beers using the ingredients available at the time that were both fuller in the mouth and less bitter than the same recipes using modern malts, and also beers that needed longer to mature than those made using modern malts do. The new-old beer, a nut-brown bitter ale made using Chevallier barley, which once went into the vast majority of pints sold in Britain, will be on sale at the Duke of Wellington pub on Waterloo Road, Norwich this coming weekend in time for Camra’s annual members’ meeting in the city. But hurry: there’s only one firkin available. 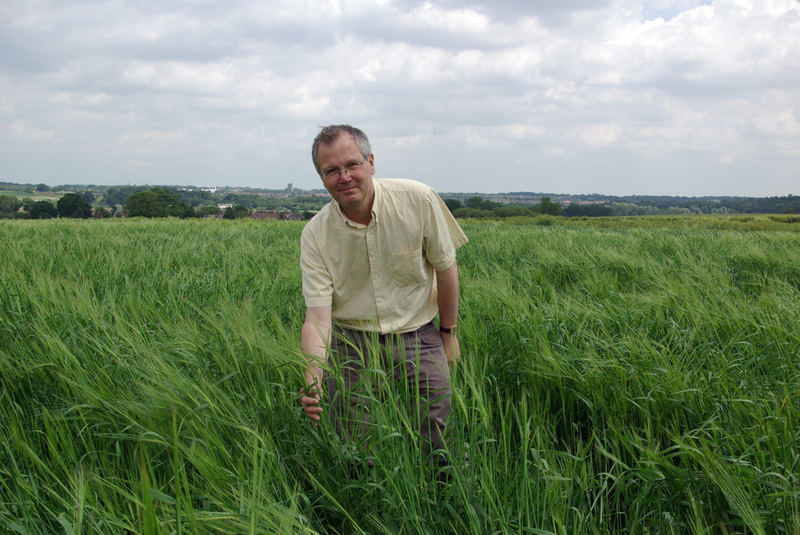 Chevallier barley was revived by Dr Chris Ridout of the John Innes Centre in Norwich, an independent grant-aided plant and microbiology research centre, which hold seeds from 10,000 varieties of barley at its genetic resources unit. The reason for reviving Chevallier was to look again at its malting quality and yields, both of which were good enough to see the variety dominate British barley growing and spread around the world. Dr Ridout and his team have now discovered that Chevallier also has resistance to Fusarium ear blight, which, if it can be cross-bred into other varieties, could be very valuable in the fight against a fungal disease that can devastate grain crops. While that alone has helped Dr Ridout win official registration for Chevallier as a conservation variety and a £250,000 grant from the Biotechnology and Biological Research Council to explore the commercial potential of new varieties derived from heritage barleys, it’s the idea of being able to get closer to the taste of 19th century beers by using a proper 19th century malt that will excite many brewers and beer drinkers. Dr Ridout also runs the tiny and obscure Stumptail brewery in Great Dunham, Norfolk, a properly registered commercial brewery that makes the occasional beer for Norfolk pubs and the Norwich beer festival, which is where the Chevallier beer on sale at the Duke of Wellington was made, and it’s fascinating talking to him about brewing with Chevallier malt and how it differs from current varieties. “There’s a definite flavour to it,”, he says, “which is quite harsh at first but matures and mellows. It has quite a full mouthfeel, and a dryness, and it seems to have an effect on hop bitterness: you need to put more hops into the beer to get the same effect as with modern malt varieties. The fact that beers brewed with Chevallier malt need some time to mellow down may have been a factor in the variety’s disappearance: its decline looks to coincide with the rise of “running” beers in the UK, the low-gravity milds and bitters popular after the First World War that were designed to go on sale with little or no ageing. 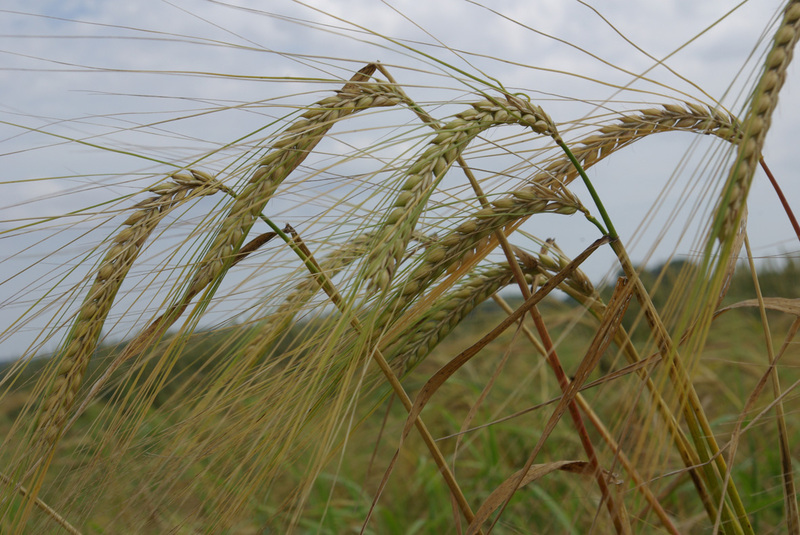 It was already losing ground to newer, higher-yielding varieties introduced at the start of the 20th century, such as Plumage Archer, a cross between a Danish barley and an old English “landrace” variety, and it fell from 20 per cent of the British barley crop to just five or 10 per cent during the 1920s. By the end of the 1930s it was down to just one or two per cent, at which point it was “more or less obsolete”, Dr Ridout says, though it was still being grown in Australia in 1957 and imported to Scotland, according to newspaper reports from that year. It was a remarkable fall for a variety that owed its existence to two men from the opposite ends of the social spectrum in the reign of George IV, an agricultural labourer called John Andrews and the Reverend Dr John “Barley” Chevallier of Aspall Hall, near Debenham in Suffolk (best known today for its cyder). There are at least two versions of the discovery of the variety that became known as Chevallier: one has Andrews filching a few ears of two-row barley as he passed through a field one day some time about 1820. Back home he threw them to the chickens in his garden, where some sprouted. The barley plants, tall, and with plump, even kernels, caught the eye of Andrews’s landlord, the Reverend Chevallier, an amateur agriculturalist born in 1773 or 1774, who took the ripe ears and cultivated them up around 1824 or 1826. About the year 1820 John Andrews, a labourer of Mr Edward Dove, of Ulverston Hall, Debenham, had been threshing barley, and on his return home at night complained of his feet being uneasy, and on taking off his shoes he discovered in one of them part of a very fine ear of barley – it struck him as particularly so – and he was careful to have it preserved. He afterwards planted the few grains of it in his garden, and the following year, Dr [John] and Mr Charles Chevallier, coming to Andrews’s cottage to inspect some repairs going on (the cottage belonged to the Doctor), saw three or four ears of the barley growing. He requested it might be kept for him when ripe. The Doctor sowed a small ridge with the produce thus obtained, and kept it by itself until he grew sufficient to plant an acre, and from this acre the produce was 11½ coombs* (about the year 1825 or 1826). This was again planted, and from the increase thence arriving he began to dispose of it, and from that time it has been gradually getting into repute. It is now well known in most of the corn markets in the kingdom, and also in many parts of the Continent, America, &c., and is called the Chevallier barley. The variety continued to be the most popular among many beer brewers in Britain for more than 50 years, with one estimate suggesting 80 to 90 per cent of barley grown in Britain by the 1880s being Chevallier (without, it must be said, any evidence being given). At the same time high-quality Chevallier barley was being imported into the UK from Chile and California, while new versions were being developed, such as Webb’s Kinver Chevallier, Richardson’s Chevallier, Scotch Chevallier and Hallett’s Pedigree. Indeed, there is a suggestion that any narrow-eared or “lax-eared” two-row barley might be called “Chevallier” in Victorian Britain, just as any whitebine Kentish hop might be called a “Golding”. The malting expert Henry Stopes described Chevallier in 1885 as “probably the most widely distributed and best known” barley variety, producing heavy crops of extremely friable grain, with an almost transparent husk, a high percentage of starch and great weight. “All the best qualities of every class of barley seem combined in this one variety, except that it is not awnless,” Stopes said. By the last decades of the 19th century it was being grown not just in California and Chile, but Australia and New Zealand, as well as every country in Northern Europe, including Sweden (although it failed in South Africa, where it was “a little too brittle and thin in the skin to stand the tropical sun”). More than seven decades after it effectively disappeared from British farms, half an acre of Chevallier was grown last year by the John Innes Centre, and the resultant crop was then floor-malted by Crisp Malting Group at Great Ryburgh, near Fakenham, Norfolk, to produce half a tonne of malt, or 20 sacks. The malting itself was an adventure into the unknown: “It’s a different beast to a modern malt, for sure,” Dr Ridout says. At one point towards the end of the malting process, levels of glutamine were looking alarmingly high: the experienced staff at Crisp suggested leaving the piece on the floor an extra day, which sorted everything out. It was good, Dr Ridout says, to be working with skilled maltsters who knew how to overcome such problems. As well as being used by the Stumptail brewery, sacks of the revived Chevallier have gone to the Durden Park Beer Circle, the London-based beer style revivalists, and other brewers, and been turned into everything from IPA to porter. This year the JIC is planting half a hectare of Chevallier, which should give two to three tonnes of malting barley. That will be treated just like a modern crop, but another batch is being grown at Gressenhall Farm, near Dereham in Norfolk, where it was planted on Easter Monday using horses and a 19th-century style seed drill, and will be grown “organically” just as it would have been grown in Chevallier’s prime. That, Dr Ridout says, will enable comparisons to be made on nitrogen content and the like using the different agricultural regimes. 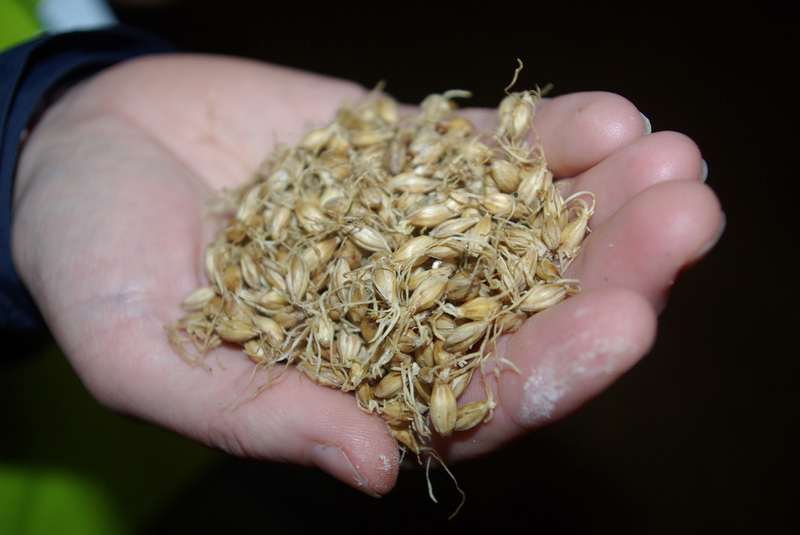 The hope, Dr Ridout says, is that as well as insights into potentially beneficial genetic trains to be found in Chevallier and other old and currently obsolete barley types – more of which are being planted out by the JIC this year – a market will develop among brewers keen to revive old beer styles for old barley malts like Chevallier. Given the eagerness with which brewers such as Fuller’s and Kernel in the UK, and Pretty Things in the United States, have seized the chance to resurrect vanished brews, I’d say brewers are likely to be beating his door down to try to get hold of authentic old malts with which to brew authentic old beers. read the press release the other day, you’ve done a fab job turning it into an interesting article, good work martyn! Great to see an old barley variety revived as even Maris Otter is only about 50 years old if I remember rightly. This is a notable and concurrent development to all the work being done in pockets around the world to further interest in historical brewing. Coincidentally last night I had part of a bottle of Organic Old Ruby Ale, whose malt grist includes the Plumage Archer you mentioned. This is part of Waitrose’s Duchy Originals, the series where part of the sales goes to the Prince of Wale’s Charitable Foundation. This beer was on the dry side, on the edge of fruity acidity. Given that Plumage Archer is only a part of the grist plus too the vagaries of brewing as practiced by the brewery, plus the shipment of an organic product thousands of miles, one cannot probably reply on it for any firm historical conclusions but it was still interesting to try. (I blended it with an over-sweet young ale and perhaps The Rev. Chevallier would have approved!). Thanks for brining this to your attention Martyn. Sorry, I meant to our attention. Very interesting article but I wonder how beers brewed with this Chevallier malted barley compares to beers brewed with my favourit – Maris Otter ?? William Crisp had some years ago a Whisky made with Maris Otter malt and that was exceptional !! The FG is usually listed in brewing records so it’s easy to see what the real ABV of 19th-century beers was. No need to guess. Assuming he counts as normal 75% attenuation, a beer expected to be 8% ABV would have an OG of 1085 and an FG of 1021. A beer of the same gravity, but only 6.5% ABV, would have an FG of 1033. And the apparent attenuation would be just 61%. I’ve rarely seen attenuation below 65%, except in Scotland. 65-70% is usual for Mild Ales, 75-80% for Pale Ales. Good news about the variety being grown again. 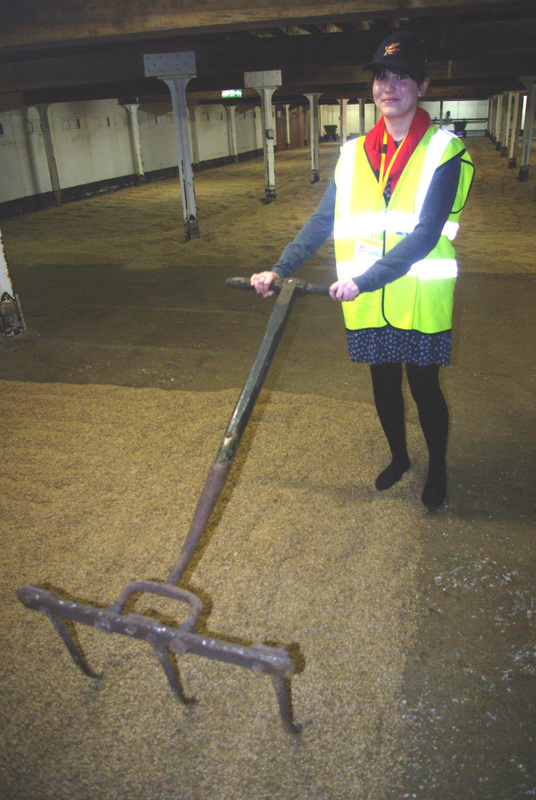 The experience of Fullers with the Plumage Archer used in Past Masters beers was that it behaved very much like modern malt in the brewhouse. Dunno, Ron. christopher.ridout@jic.ac.uk is your man to ask. Good point. Please let us know what you find out. Very good article, Martyn, as always, and great to see this variety under cultivation once again. I agree (of course) with everything that Ron has written. I read the paragraph that he has quoted as meaning that, in this particular brewer’s experience using this variety produces more dextrines in the wort (“slightly higher residual gravity”) than modern varieties he has worked with. Fair enough. What I don’t really understand is, “the higher final gravity didn’t mean a sweeter beer, but one with a fuller mouthfeel”. A higher level of (unfermentable) dextrines will give the beer more mouthfeel, but also more sweetness. Dextrose is, after all, a sugar. The attenuation levels don’t always tell the entire story – 70% attenuation is a respectable number for an all malt beer but a lot of the beers back then weren’t even close. I’ve brewed a lot of the recipe’s you post and I find hitting the high FG’s to be the hardest thing about brewing them. Some of the beers in the 1909 Style Guide are 20% sugar (eg. Russel AK) and using modern malts want to finish with 85% attenuation, not the 72% the brewer achieved back in 1911. I’ve asked in the past if the high FG’s were intentional, yeast related or malt related. This would indicate that it is due at least in part to the malts. Edward, good points. In some styles, I think high FG’s were deliberate. But was it the barley or the malting that was responsible for a lack of fermentability? The Victorians applied ‘science’ to brewing. High attenuation let to more alcohol, low protein to clearer beer. What they seem to have missed out was that low attenuation – which can also be achieved by missing the sweet spot of mashing temperature leads to non-fermentable sugars which can lead to improved mouth feel (umami) and different forms of sweetness – try tasting sugar then barley sugar then saccharine to see what I mean. Also higher proteins lead to different flavours. The major steps forward in brewing in victorian times and were most probably marketing and killing off small breweries. 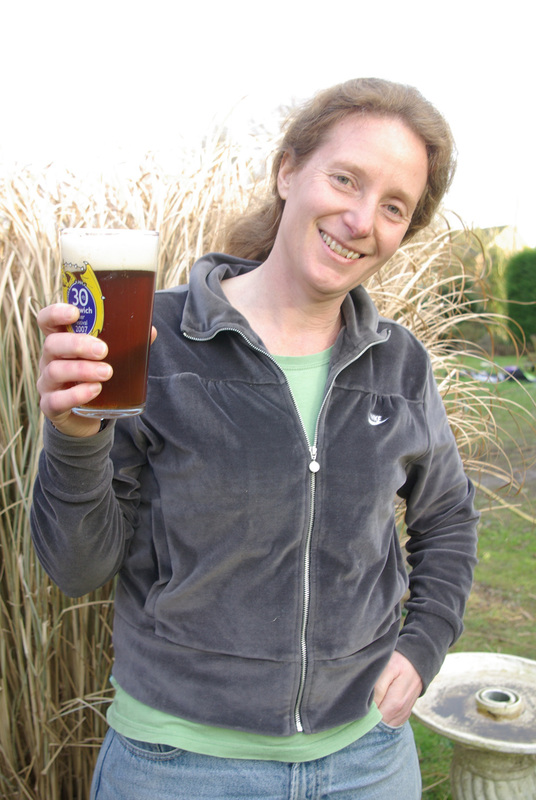 Where I live in the west country they used to grow barley for beer – the varieties no longer exist but I am experimenting with old varieties from the John Innes Centre but global wetting is causing me problems – if you dont hear back from me I’ve probably succeeded!